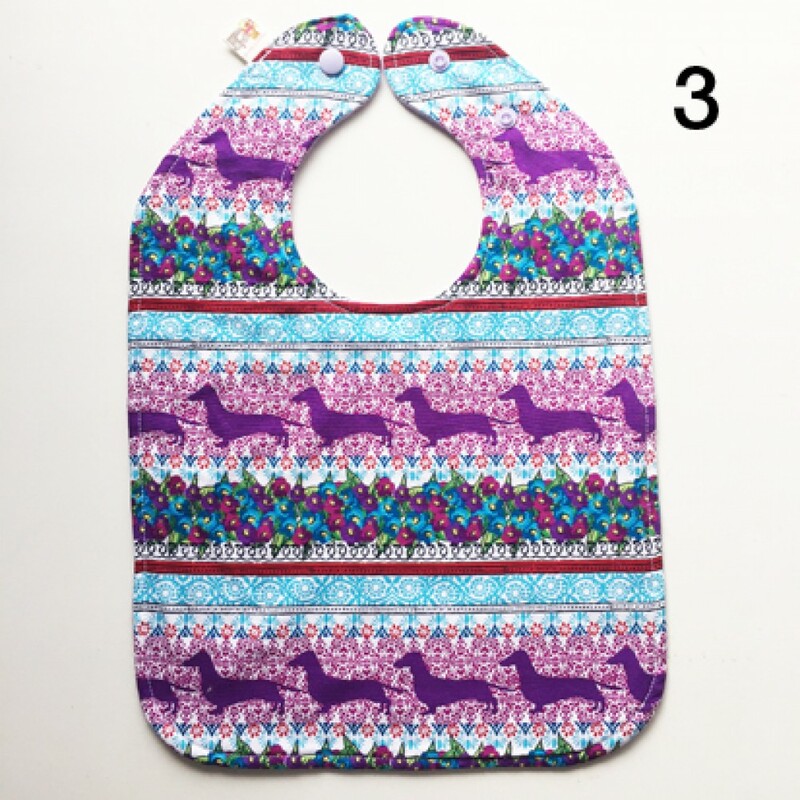 Dress up your bub with one of our locally handmade bibs. 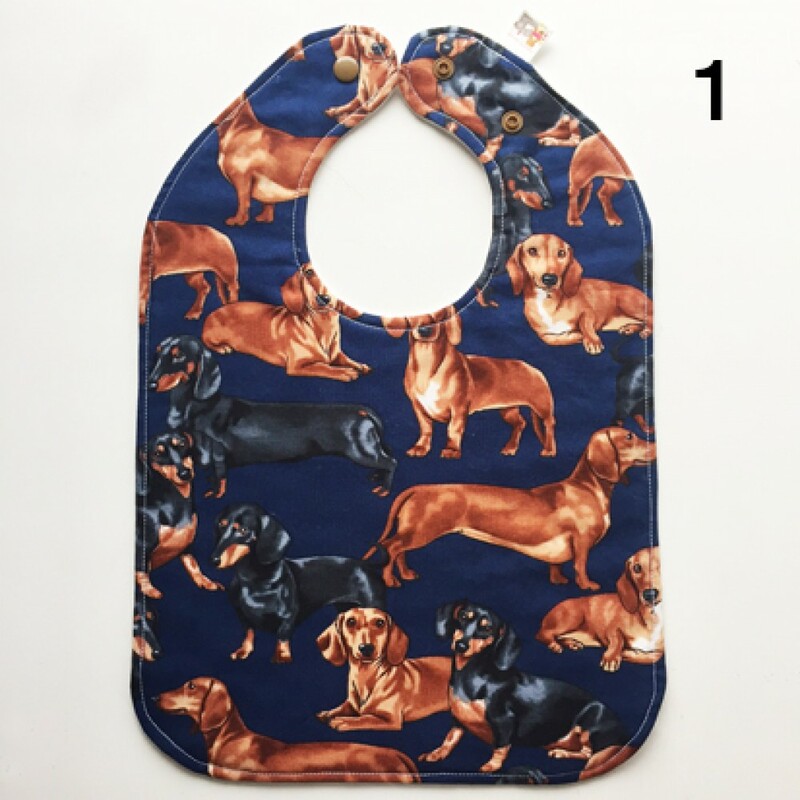 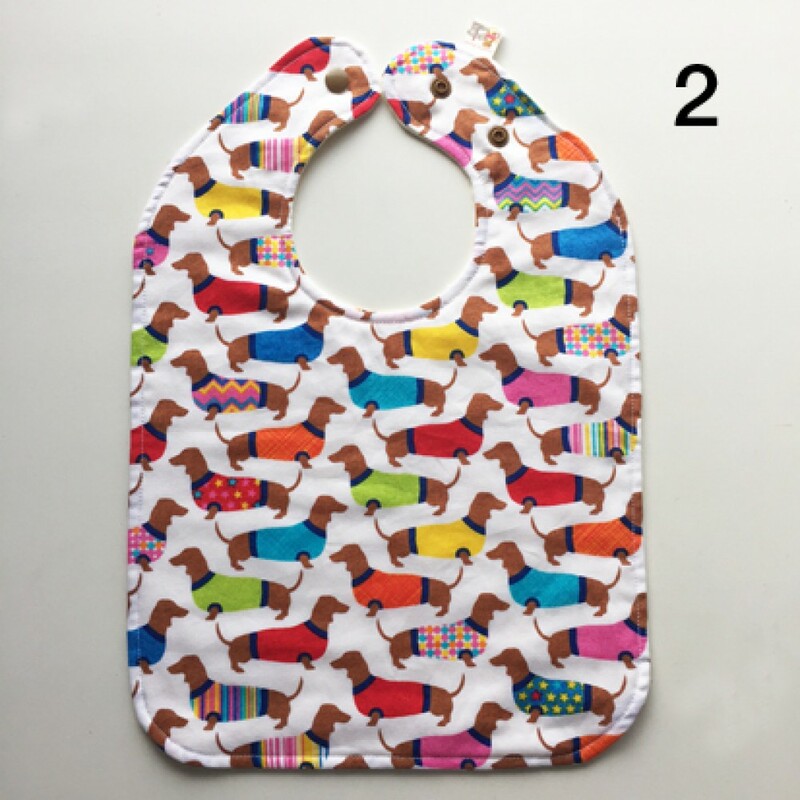 Made with gorgeous dachshund fabrics and fully lined with thick, soft fabric to ensure no rubbing. 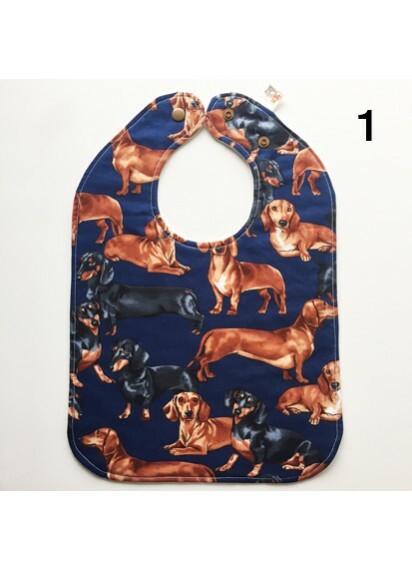 Two press stud sizes allowing for growth.